India: Mob Wounds 13-Year-Old Christian Girl, Threatens to Burn Mother. 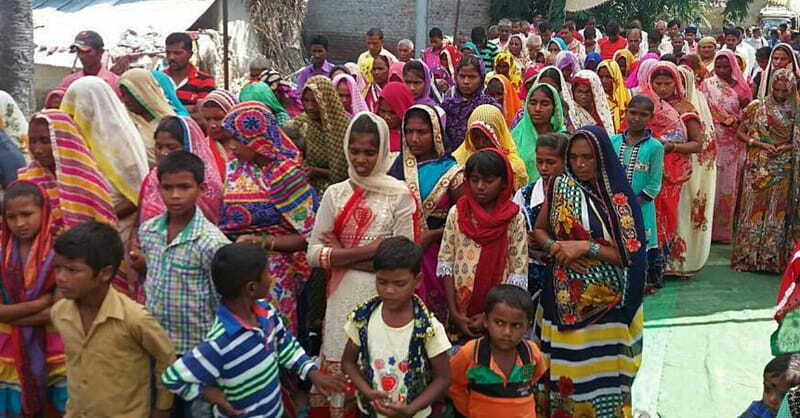 Tribal animists upset that Christians tried to bury one of their dead in a village in eastern India seriously injured a 13-year-old girl and others who tried to protect a Christian woman the villagers threatened to burn alive. On Feb. 26 Christians in Chitrangapalli, Tamguda village, were about to bury the body of a 3-year-old girl who had died of natural causes in Odisha’s state’s Malkangiri District, when villagers reached the field where they were performing last rites. The mob insisted they would not allow a Christian to be buried in their village, even though the burial site was on land owned by one of the Christians, area sources said. They demanded that the Christians take the body outside the village for burial. After the land owner argued that he was free to bury his dead on his land, the villagers left, only to return at midnight with weapons. About 20 to 25 villagers carrying wooden sticks surrounded the houses of the three Christian families in the village of nearly 35 families and ordered them to come out. The mob was shouting loudly, reviling them for changing their faith. Some Christians came out of their houses, and the villagers told them to renounce Christianity. When they refused, the attackers entered their homes, dragged the rest of their family members out and beat them, area residents told Morning Star News. Savagely beating 45-year-old Nandi Madkami, an aunt of the girl who had died, the assailants threatened to burn her with gasoline they were carrying. “As they were attempting to burn her, Nandi’s 13-year-old daughter ran to her rescue,” Enka Pusham, a Christian from a neighboring village who gave refuge to the Christian families after they spent the night hiding in the forest, told Morning Star News. The villagers began to beat Madkami’s daughter, Savita Madkami, with wooden sticks, leaving her bleeding from head wounds. Savita’s father, Deba Madkami, was beaten when he came to his daughter’s rescue, as was his father, Ganga Madkami, and brother, Jaga Madkami. The elderly Ganga Madkami sustained a broken right hand. The attackers proceeded to burn the houses of the Christians, destroying a roof. “The mob also looted 10,000 rupees (US$153) from Jaga Madkami’s house and destroyed his cycle,” Pusham said. The Christians ran to the jungle to save their lives and spent the night there. One badly injured Christian who could not run was secretly taken in by some kind villagers and kept safe. The next morning Pusham, from nearby Kalimela village, and other Christians went in search of the Christians hiding in the forest. Pusham and the others rescued the displaced Christians, who have now taken refuge at an undisclosed location. That day (Feb. 27) the Christians went to a local police station to file a complaint but were refused, as officers told them to contact the main police station in Kalimela. Police did not help them obtain medical treatment as they customarily would, Pusham said. “Anti-tetanus injections were all that the Christians were given in the name of first aid,” she said. After the Christians filed a complaint on Wednesday (Feb. 28) at the Kalimela police station, officers took the wounded to a hospital. Savita, Ganga Madkami and Jaga Madkami are still receiving hospital treatment. Nandi Madkam, who was threatened with being burned alive, sustained injuries on her legs and back, while Deba Madkami and Jaga Madkami have injuries on their legs, face and back. Savita has a severe wound on her head. “The police had assured us that they would arrest the attackers, but we have not heard from them since,” said Pusham. Christian leaders from Malkangiri approached police, resulting in a First Information Report being filed against the assailants. Those assaulted are members of the Indian Missionary Society Church in Pulimtla village, six kilometers (less than four miles) from their home. After the attack, the villagers are not allowing the Christians to return to their homes or enter the village. The three families had already been boycotted in their village, she said. On Friday (March 2), Christian leaders from Malkangiri area, along with the police, arranged for a peace meeting between the leaders of the attackers and the Christians. It may be possible for the Christians to return to their houses soon, but at this writing the area remains tense, and the assaulted Christians are still waiting to return home.